Green Party presidential candidate Jill Stein is taking her bid for a statewide recount of Pennsylvania's Nov. 8 presidential election to federal court. After announcing Stein and recount supporters were dropping their case in state court, lawyer Jonathan Abady said they will seek an emergency federal court order Monday. "Make no mistake — the Stein campaign will continue to fight for a statewide recount in Pennsylvania," Abady said in a statement Saturday night. "We are committed to this fight to protect the civil and voting rights of all Americans." He said barriers to a recount in Pennsylvania are pervasive and the state court system is ill-equipped to address the problem. Stein has spearheaded a recount effort in Pennsylvania, Michigan and Wisconsin, three states with a history of backing Democrats for president that were narrowly and unexpectedly won by Republican Donald Trump over Democrat Hillary Clinton. Stein has framed the campaign as an effort to explore whether voting machines and systems had been hacked and the election result manipulated. Stein's lawyers, however, have offered no evidence of hacking in Pennsylvania's election, and the state Republican Party and Trump had asked the court to dismiss the state court case. The recount-campaign decision came two days before a state court hearing was scheduled in the case. Saturday's court filing to withdraw the case said the Green Party-backed voters who filed it "are regular citizens of ordinary means" and cannot afford the $1 million bond ordered by the court by 5 p.m. Monday. Meanwhile, Green Party-backed efforts to force recounts and analyze election software in scattered precincts were continuing. A recount began Thursday in Wisconsin, while a recount could begin this week in Michigan. Trump's victory in Pennsylvania was particularly stunning: the state's fifth-most electoral votes are a key stepping stone to the White House, and no Republican presidential candidate had captured the state since 1988. 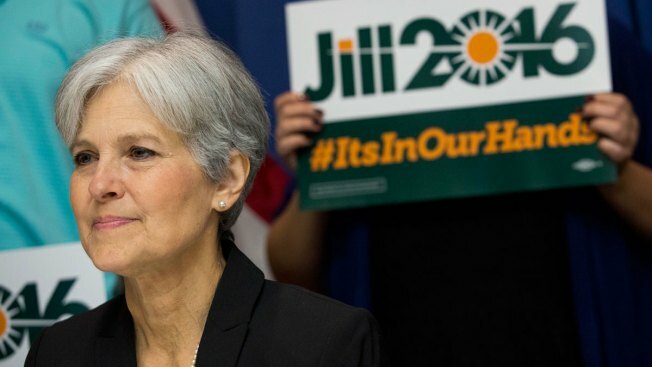 In seeking the recount, Stein has noted hackers' probing of election targets in other states and hackers' accessing the emails of the Democratic National Committee and several Clinton staffers. U.S. security officials have said they believe Russian hackers orchestrated the email hacks, something Russia has denied. Lawyers for Trump and the Pennsylvania Republican Party argued there was no evidence, or even an allegation, that tampering with the state's voting systems had occurred. Further, Pennsylvania law does not allow a court-ordered recount, they said. The state case also had threatened Pennsylvania's ability to certify its presidential electors by the Dec. 13 federal deadline, Republican lawyers argued. GOP lawyer Lawrence Tabas said Saturday the case had been meant "solely for purposes to delay the Electoral College vote in Pennsylvania for President-Elect Trump." The state's top elections official, Secretary of State Pedro Cortes, a Democrat, has said there was no evidence of any cyberattacks or irregularities in the election. And any recount would change few votes, Cortes predicted.